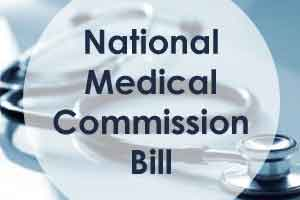 The National Medical Commission (NMC) Bill, which will be tabled in the ongoing Monsoon Session, seeks to replace the Medical Council of India (MCI). In March, the Union Health Ministry approved amendments to the NMC Bill including removing the contentious provision of “bridge course”, which would have allowed practitioners of alternative medicines to pursue allopathy after stiff resistance from the IMA and the opposition. . In a statement issued today, the IMA, however, said the Bill in its current form remains “anti-poor, anti-people and anti-federal law” which, if passed, “will have unforeseen consequences on not only the health sector but also on the federal structure of the country.” IMA rejects the NMC 2017 in toto and resolves to fight this anti-people legislation by directly taking the issue to the people, it said. If the government tries to enforce this Bill in its current form, it will be met with similar resistance as in the past, it said. Doctors belonging to the IMA had gone on a 12-hour strike as part of a nationwide stir against the NMC Bill in January. The statement said the Bill will make medical education inaccessible to the poor and downtrodden and doctors will come only from the rich sections of the population, which is unacceptable. IMA has the national duty to fight this black law as the voice of voiceless, it added. The doctors’ body claimed that private medical colleges in states like Uttarakhand and Maharashtra had hiked their fee to 25 to 30 Lakhs per year for MBBS courses. According to the NMC Bill, the government will regulate the fee for 50 percent seats in private medical institutions and deemed universities. “Reservation of 50 percent of the seats for the rich, who can pay, is denial of equitable opportunities and hence is certainly anti-people,” the statement stated. It said a centrally administered final MBBS exam will be highly detrimental to students from rural and tribal areas. The statement said the Bill was anti-federal as it marginalised state governments, state medical councils and state health universities, which is a direct assault on the Constitution of India. IMA teaching governance to MBBS doctors. LET #MEDICAL_MAFIA ADMINISTER MBBS EXAM WHERE MARKS R SOLD TO PAY BRIBES TO #ANTI_NATIONAL #THE_MOST_CORRUPT_INSTITUTE_IN_INDIA_MCI?